It's not every day you get invited on a mystery tour, to witness what was billed as "London's most extreme bike ride". 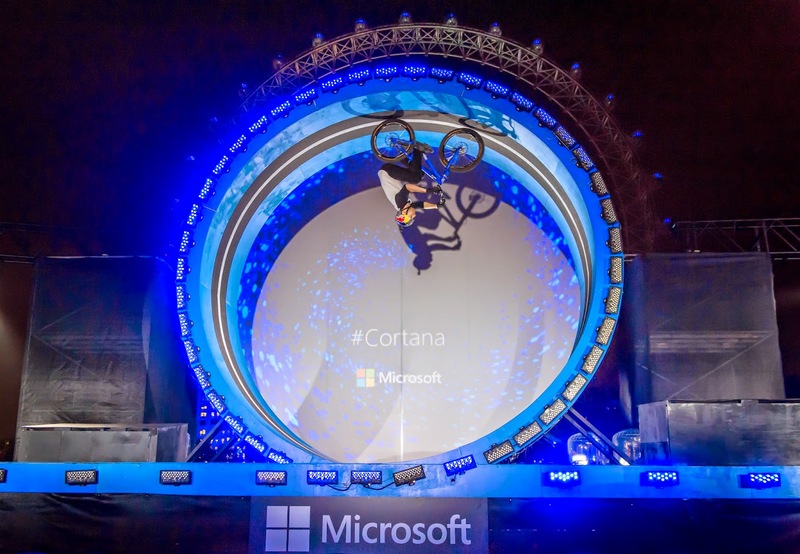 Planning the launch event for their virtual personal assistant, Cortana, Microsoft had been in touch promising thrills, spills, and world-famous trials bike rider Mr Danny Macaskill. Needless to say, I was excited! Danny's stunt was kept under wraps right until the last minute, and the excitement built as darkness fell and we cruised up the river Thames on Wednesday evening. Everyone assembled on board snapped pictures of London's most famous landmarks as we neared our destination. As the London Eye came in to view, so did a barge floating in the middle of the river with a massive slope and loop-the-loop built on top. What was about to unfold became clear, and I was blown away by just how epic the night was turning out to be. Danny's London stunt is just another string to his bow, following the enormous success of his online videos including the most recent (and I'd argue best) film, The Ridge, which has already been viewed over 20 million times on Youtube. Apparently Microsoft's Cortana acted as Danny’s personal assistant throughout his training for the event, arranging his meetings, setting appointment reminders, playing his favourite music, warning for bad weather and finding maps. Our boat moored by Victoria Embankment, putting Danny's loop in line with the London Eye. As the crowd waited eagerly, I can't imagine what would be going through his mind. Was he nervous? What if he fell? Would he over-shoot the slope and end up in the river?! 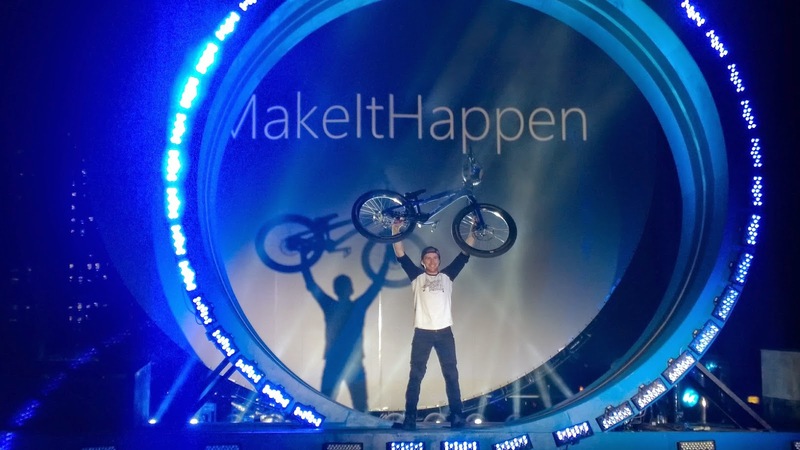 If Macaskill was nervous, he certainly didn't show it. With a quick spin and a hop suddenly he was off, gathering speed on the steep slope before whizzing around the loop, then delivering a perfectly executed backwards wheelie on his front wheel. The crowd (which I noticed included trails pioneer Hans 'No Way' Rey) gave him a huge cheer, and it was all over too soon. Riding a bike along the river Thames usually involves dodging lorries and massive pot holes, and there's been lots of talk recently about the idea of building a floating bike track down the middle of the river. That's fine by me, just so long as it includes a 5 metre high loop the loop so we can all have a go! Many thanks to Microsoft's Cortana for a great evening! That was outstanding event!! I need to hire event planner who can manage my event planning. I need best venue in Chicago and want to add theme as well. So please suggest me if you know any event planner.